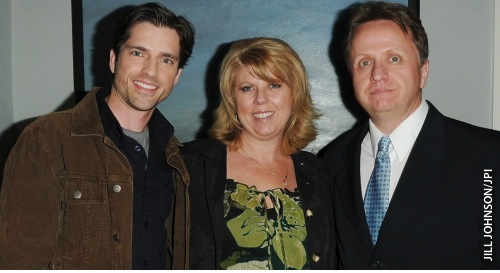 THE BAY The Series Press: ABC SOAPS IN DEPTHS: See Our Reporters On THE BAY! ABC SOAPS IN DEPTHS: See Our Reporters On THE BAY! The next chapter of THE BAY debuts today, Thursday, May 3, and it features two of Soaps In Depth's very own! Editors Kelli Larson and Michael Maloney will play two very determined Bay City journalists in the episode, now available for streaming at http://thebaytheseries.com/. Oh, yeah, soap veterans Scott Bailey (Sandy, GUIDING LIGHT) and Fiona Hutchison (Jenna, GL; Gabrielle, ONE LIFE TO LIVE) make their debuts as Nathan and The Mystery Woman in the newest installment, too!